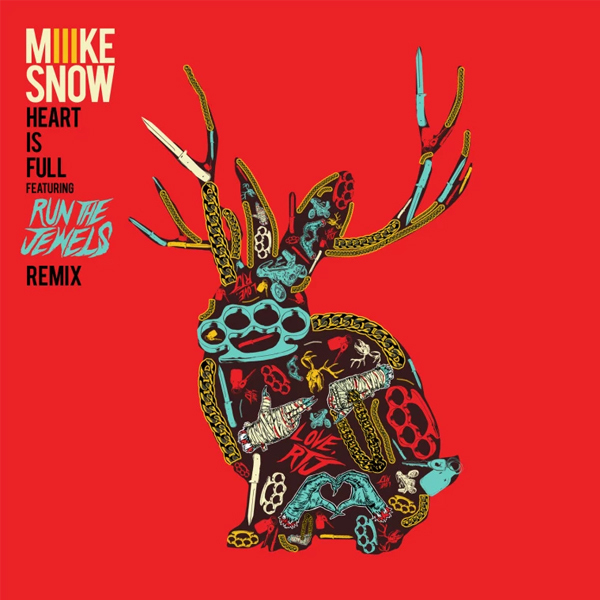 Listen to Run The Jewels' Remix of Miike Snow's "Heart Is Full"
Swedish pop outfit Miike Snow recently returned with the sample-driven “Heart Is Full,” and the track had a distinctively hip-hop flavor to its percussion in particular. It seems the three-piece were astutely aware of how well the track would work as a rap beat, so they’ve employed one of the finest rap duos going to compliment the already big sounding track. With Killer Mike and El-P’s verses matching perfectly with the beat, this is the type of remix that just makes a lot of sense in practice. Listen to Run The Jewels’ remix of “Heart Is Full” below, and check out the video for the original version of the track below that.